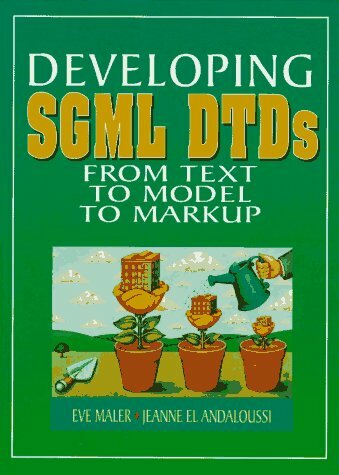 Document Type Definition (DTD) specifications form the foundation for every document based on the SGML language. This helpful guide shows how to develop DTDs that work, based a proven methodology and techniques. It explains how DTD development benefits from the same rigorous treatment as software development. For writers, editors, and other subject matter experts; software developers and other DTD implementors; and publishing managers. These are practical guidelines, standards, techniques, and best practices for building mobile products from start to finish. With this book, you will learn basic design and development principles for all mobile devices and platforms. The book covers the design, programming, marketing and business principles of 37signals. It's a book of ideas, not a design tutorial or technical book. Simple insights, unconventional approaches to software design, and contrarian points of view. Topics covered: History and evolution of the WWW; Existing and evolving Web standards; Effective representation of information on the WWW; Use of object technology for the WWW; Social and legal issues surrounding the WWW; The future of the Web. An authoritative guide to Zope, an open-source Web application server. It is aimed at people new to Zope as well as current users, although some existing knowledge of Web technology is necessary. The book offers an excellent, high-level view.